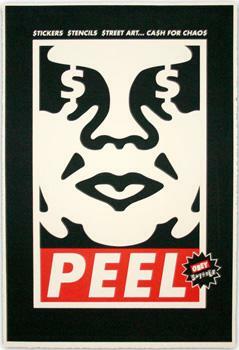 This print was sold exclusively through Peel Magazine's online store, GORILLAmART. The prints are numbered, but not signed. From GORILLAmART: Numbered Edition of 250 Two color print silkscreened on heavy archival paper 15" x 22" Hand printed by Peripheral Media Projects Shepard worked over the cover of PEEL #7 to create this extremely high quality silkscreen print.